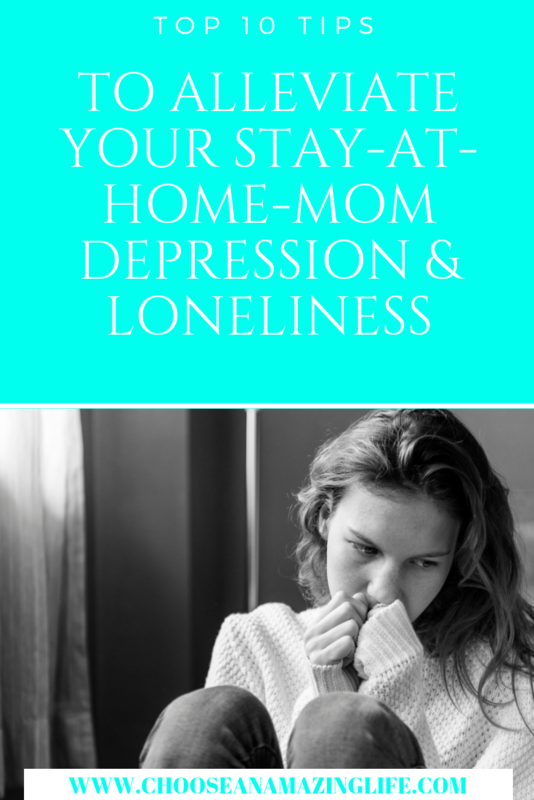 Practical Tips to Help Stay-at-Home Moms with Depression | Choose an Amazing Life! 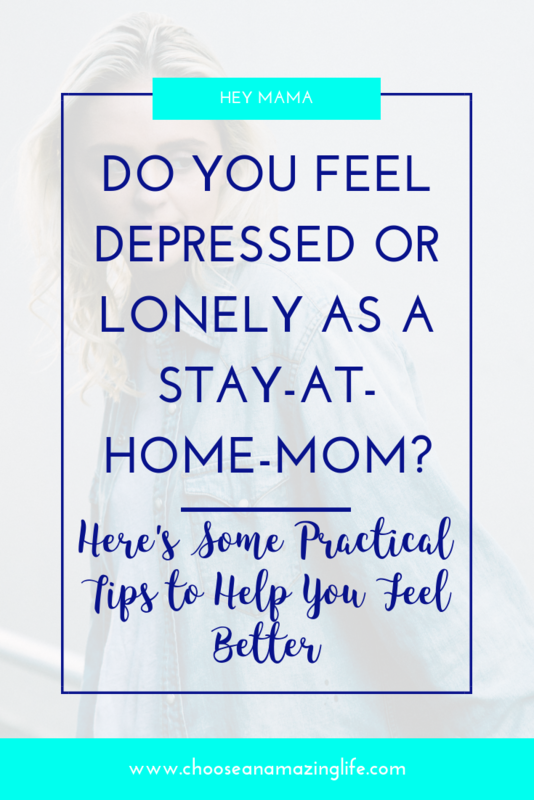 Do You Find Yourself Feeling Alone or Depressed Staying-at-Home? 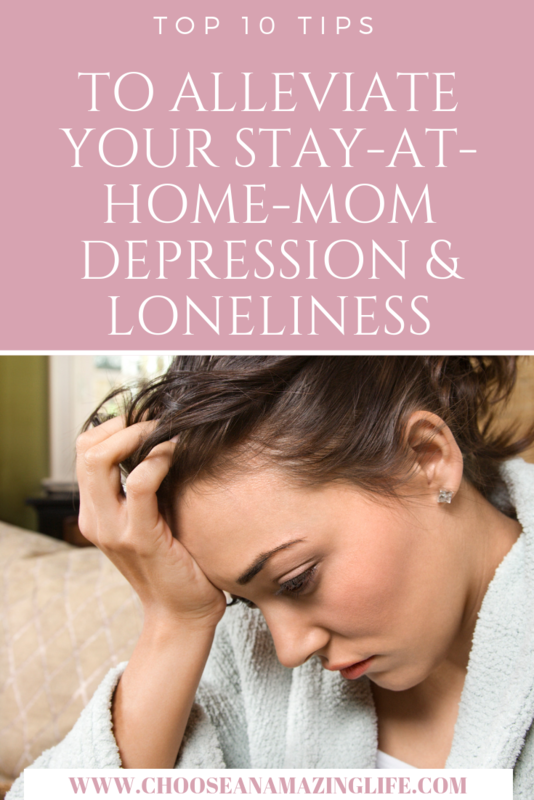 Many mothers struggle with feelings of isolation, sadness, guilt, shame, discouragement and overall failure. 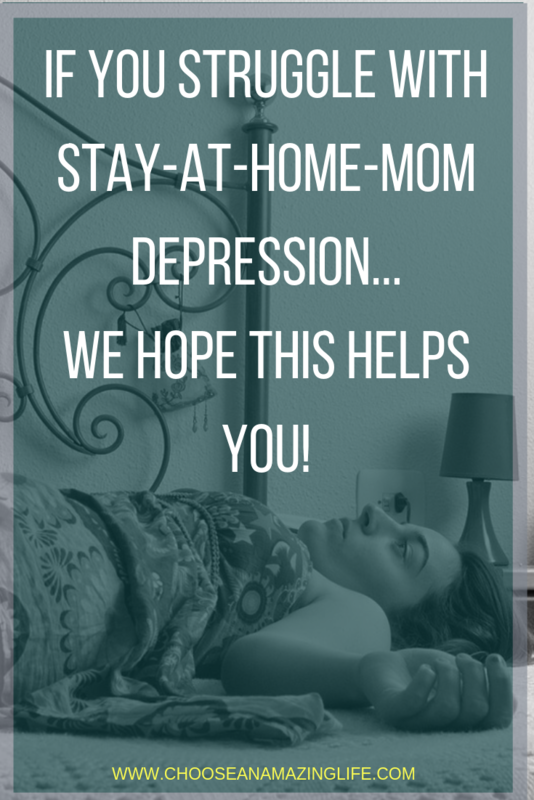 Another ailment among mothers that stay-at-home is depression. It is a very common problem in our society these days. More and more moms are fessing up to the hardships and real truth about what being a stay-at-home mom is really like. For more about that, Read This. 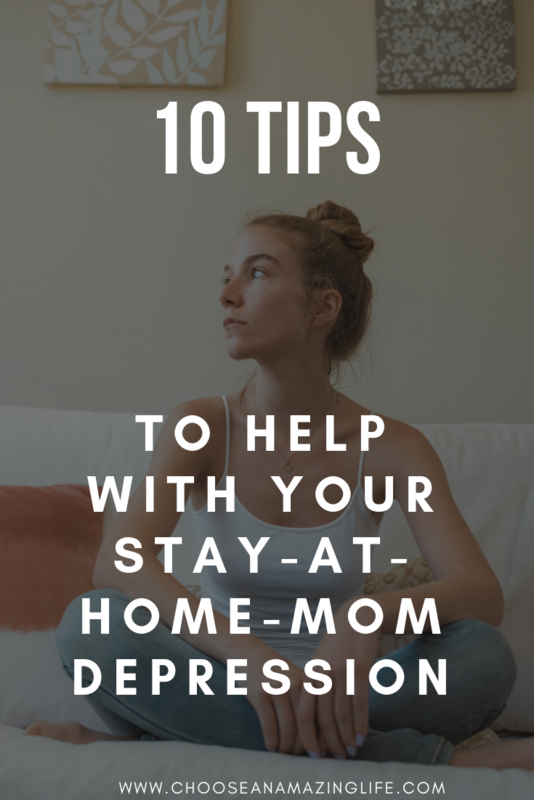 If you find yourself feeling “stuck” “sad” or “wishing you could work outside the home” there are many things that can help you. As with many things in life, getting to the root cause of a feeling can help us solve the problem. Too often we ignore the real reason we are suffering and try to treat the symptoms as if doing so will cure us. 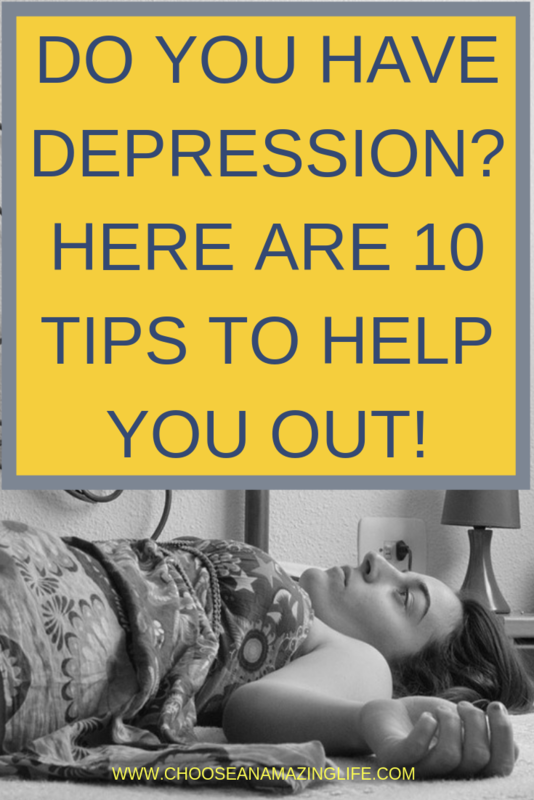 There are many different prescriptions for depression and anxiety, and finding the right one and quantity can make all the difference in the world. There is no one right answer for anyone, and often a person must play around with different methods before they feel better. Many people pay therapists and counselors to help them get to the root of the problem. If you need to do so, please don’t feel embarrassed or ashamed. I know many mothers that have gotten help and it transformed their lives. We should never feel guilty for trying to feel good and make our lives better. Period! Often when we really start evaluating ourselves and the things that we think and feel about our life, we can come up with the reason behind the feeling. If we start giving ourselves honest answers to why we are hurting, sad, or depressed, we can start working on the cure. So often we are focusing on the problem instead of the solution. We ask, “Why me?” when we should be asking, “How can I make myself feel better right now?” By focusing on finding the solution, we will be a lot more likely to get answers. Try getting a good dose of Vitamin C and make sure you have plenty of exposure to natural sunlight. We should be drinking at least half of our body weight in water every day. Many people are clinically dehydrated without even knowing it. This can highly effect our mood and make us feel lethargic and tired. Diet and exercise also contribute a lot to our overall mood and can lighten us up when we feel depressed. Just going on a ten-minute nature walk can do wonders for our souls. Focus on the good in your life and start expressing and showing gratitude for what you have. What we focus on expands, so when we wallow in self-pity we will feel worse, and when we concentrate on our blessings they will increase. Practice self-care every single day. Make Friends & Do Stuff with them! This might be hard depending on where you live (I live in a rural town where most moms work or homeschool). But don’t make excuses. Most of my best friendships have come about because I was willing to go outside of my comfort zone and talk to other moms. I met one of my good friends at the grocery store, another at the park, and one at the library. 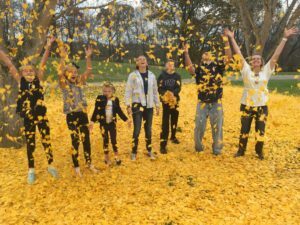 Don’t feel foolish- you just might be the answer to another moms’ prayer- reach out and ask if they are a stay-at-home mom too and what they like to do during the day. You might be delighted by the results. If finding friends in your area is hard or not enough for you, try finding online communities to be a part of. 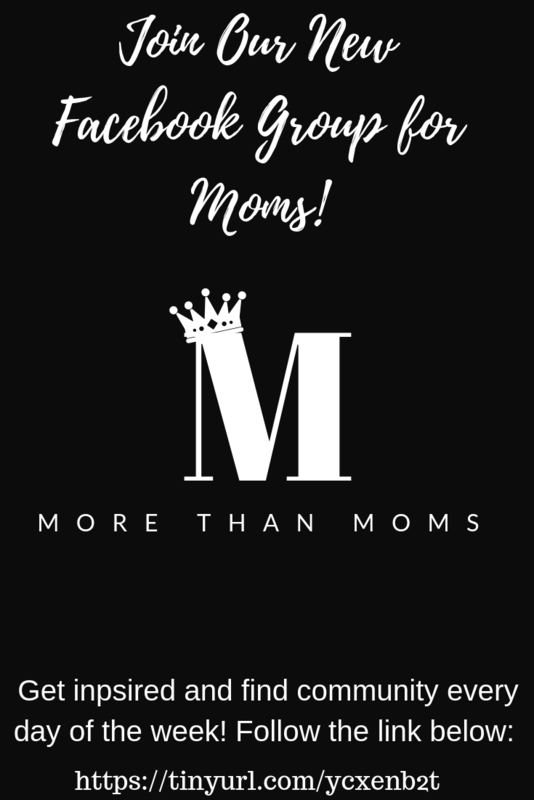 I am personally involved in several mom groups on Facebook and each offers something different. I like getting on and seeing what other mothers are doing and being able to ask questions. I liked it so much I even started my own group! I wanted it to be a place where we are filled up with positive and happy things, rather than focusing on the negative. I also wanted moms to feel loved and needed, and to know that they are enough! (you can join it Here). Get OUT of the house more often! Schedule in dates with your partner OR yourself, at least once a week. Put these events on the calendar and make preparations for babysitting or whatever you’ll need to make it happen. Make yourself and your relationships a priority, because girl YOU ARE WORTH IT! Go grocery shopping or out on the town (without the kids) every chance you can get. 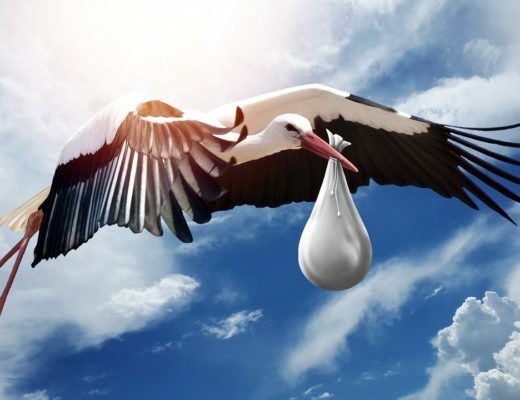 With a newborn at home, I now wait until my husband or older kids get home (my oldest is 15 so she can babysit for me) to do my shopping. I also take advantage of the early hours in the morning before school. I will make a 20 minute trip to Walmart before my husband leaves for work, just to avoid taking a car-seat with me! Sometimes I just go for a drive so that I can listen to a good audio book or some of my favorite songs- I take my time so I can recharge my own battery before facing the kiddos again! 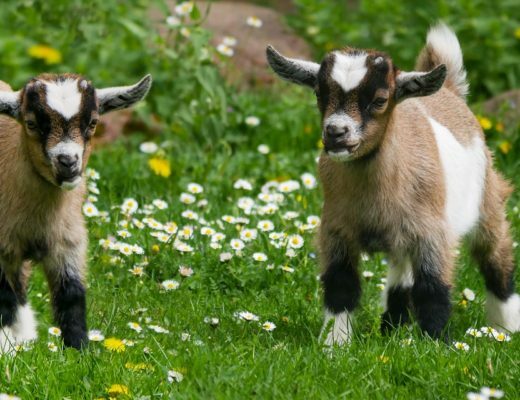 Have playdates, park dates, trips to the zoo, museum, or fun places that you and the kids can enjoy. Invite your friends to come along! Only schedule these if getting out of the house makes you feel good and is fun- if it causes you more stress- avoid it! Find a Hobby That Makes You Happy. Unless you LOVE playing with kids and playdoh, I suggest finding something that YOU really like, not just something for the kids. This could include anything from creating bath bombs, hand lotion, homemade laundry soap or planting a garden. I have friends that are wood workers, crafters, obsessed with their cricut machines, sewing and knitting fanatics, etc. Look into the option of getting a side hustle that allows you to make money from home! I have been heavily involved in this one over the past year and am so grateful for all that I have learned. 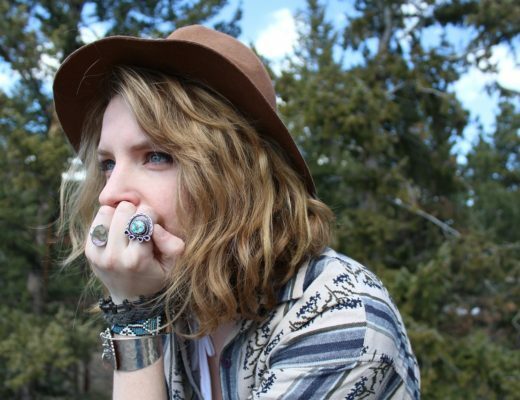 I have taken classes on blogging, writing a book, and opening my own online store. I have had a blast! 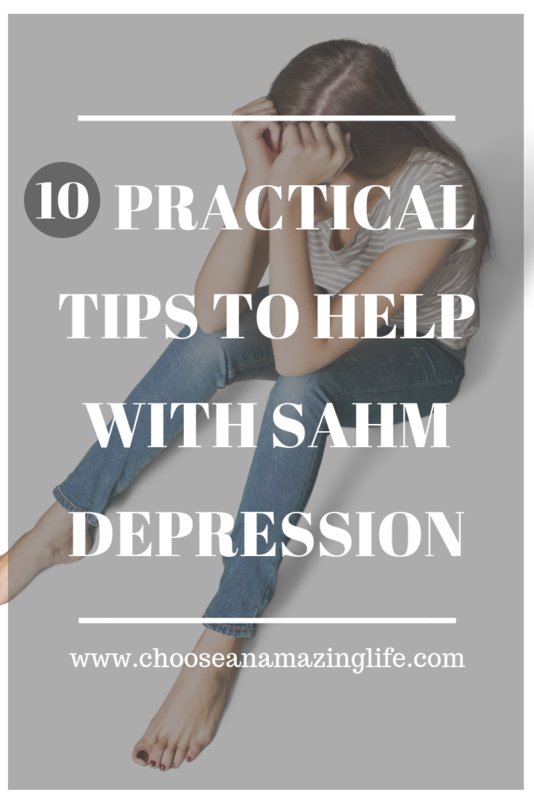 I hope you find these tips and tricks helpful. 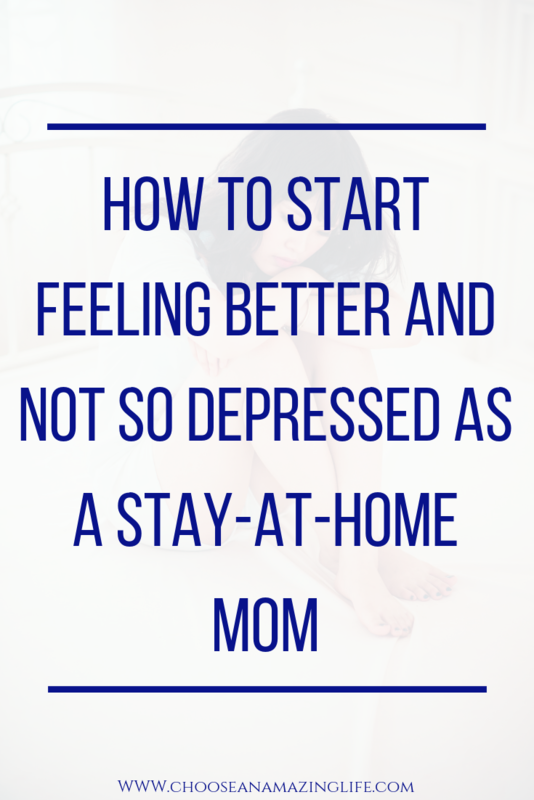 It makes me sad that so many mothers struggle with depression. If this posts helps even one of you to find joy and relief, it will be worth it to me! Remember that you are NOT ALONE! There are plenty of resources and others willing to help you out. If you are craving a safe and positive place in which you can connect with other mothers and find peace online, please join our Facebook Group More than Moms. We would love to have you there and fill your feed with uplifting things! 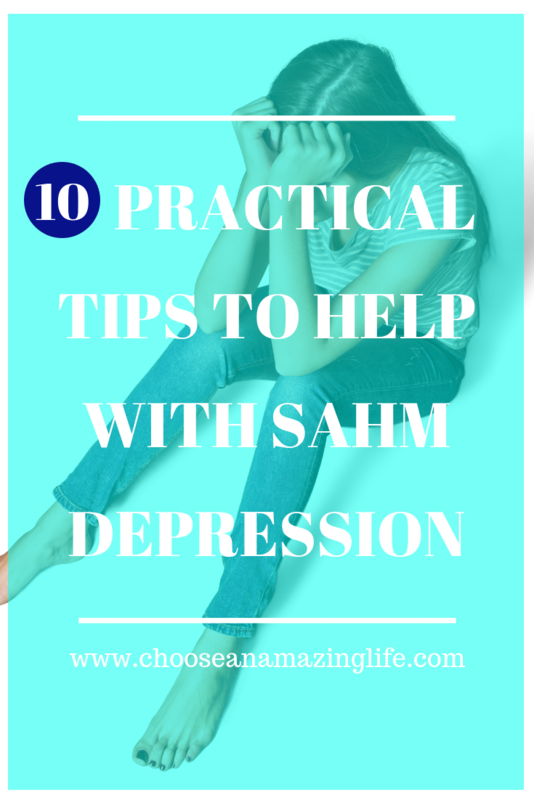 What do you do to deal with depression? 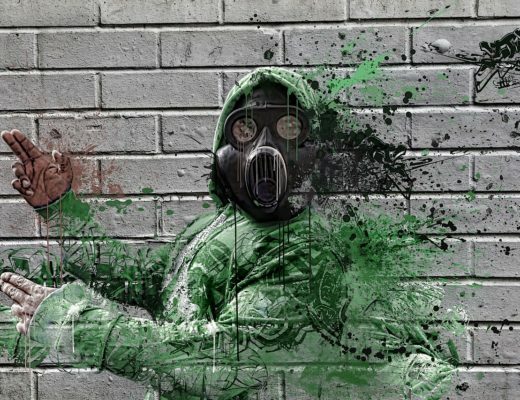 What is your number one take-away from this post? Leave your answers in the comments below! Let’s learn together!